Home cleaning is a normal part of keeping your home in decent shape. That is why you should never ignore this chore. It is understandable if you don’t have the time or the patience to deal with it. That is what our cleaning company Top London Domestic Cleaners provides professional domestic cleaning in Holland Park. We employ professional cleaning methods that have been proven to work at all times. We have been dealing with domestic cleaning for quite some time now. We know full well just how to address any cleaning task. There is no need to trouble yourself with annoying cleaning jobs since our domestic cleaners can do that for you. We are so confident in our skills because we have been in the industry for some time now and we have acquired plenty of clients. Each of them has always been extremely satisfied with our work. But that hasn’t stopped our progress. On the contrary, we have even improved our cleaning methods so that the outcome of our work is even better. That is how Top London Domestic Cleaners is the one and only company in Holland Park that you can have full trust in. 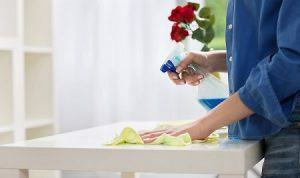 How to book our domestic cleaning in Holland Park? Upon contacting us on 020 3322 8143, you can be sure that there will be no senseless delay. You just need to share your requirements and our representatives will guide you through the rest. We will even provide you with a free quote so that you know just how much everything is going to cost upfront. That way, upon your accepting, we can move forward with delivering the domestic cleaning service per your convenience. It is no wonder so many clients like to work with us, since our company really pays attention to details. You too can now join the club of happy customers by giving us a call today. We promise that you will soon know you have made the right choice! The name Holland Park denotes a street, a public park and a district all in the Royal Borough of Kensington and Chelsea, west part of London. It has earned its reputation as an affluent area, notable for its big townhouses from the Victorian age, as well the high-end restaurants and shops. The area is within close proximity of such great shopping venues like Notting Hill, High Street Kensington, Royal Crescent, Ledbury Road and more. Holland Park street has some of the most expensive properties in London. What is notable about the area is the size and width of the houses. It is no wonder celebrities and businessmen show such huge interest for the place. The public park of that name is about 22 hectares in area. It features semi-wild woodland as well as more formal areas towards the central section and sport venues at the southernmost area. The best domestic cleaning in Holland Park is now available at affordable rates. Contact Top London Domestic Cleaners today by calling 020 3322 8143.